“The Nifty seems to have started showing initial signs of turnaround as per daily and weekly timeframe charts. 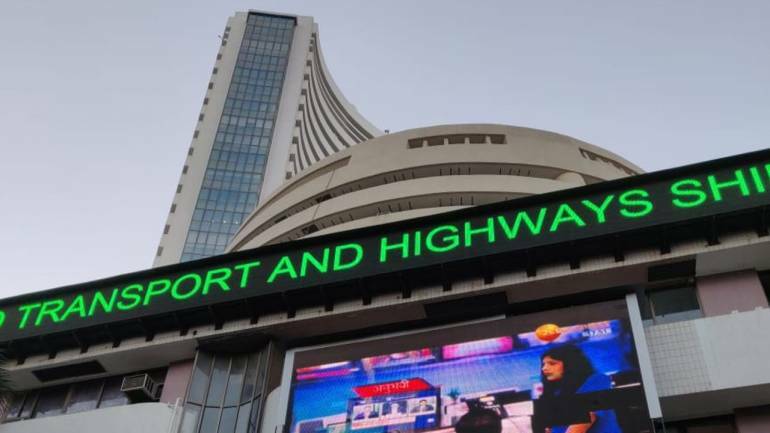 But, the overall trend of broader market is still in larger high low range,” Nagaraj Shetti, Technical Research Analyst at HDFC Securities told Moneycontrol. He said lack of buying interest on dips in the next week and a follow-through weakness as per weekly timeframe chart could lead to broader weakness in the market. 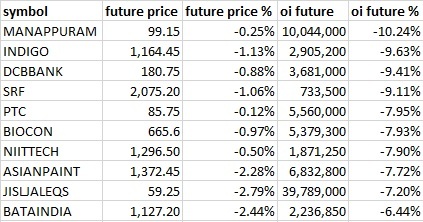 A close below 10,680-10,650 could mean an increasing strength in the downside momentum of the Nifty, he added. “Investors will stay cautious ahead of the Interim Budget on February 1 and because of ongoing Q3FY19 earnings season, volatility is expected to remain high,” Rahul Sharma, Senior Research Analyst at Equity99 said, adding traders will roll over their F&O positions to February series as the current series expire on Thursday. The stock-specific movement is expected to be key as around 500 BSE companies will announce their December quarter earnings in the coming week that include prominent names like State Bank of India, ICICI Bank, Axis Bank, Titan Company, Bajaj Auto, ICICI Bank, Canara Bank, IOC, Tata Power, Bharti Airtel, Dabur, Hero Motocorp, Power Grid and Vedanta. 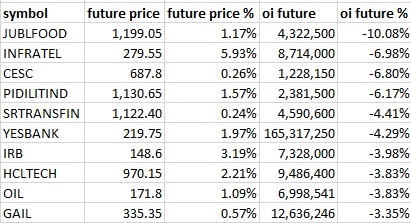 Maximum Call open interest (OI) of 44.32 lakh contracts was seen at the 11,000 strike price. This will act as a crucial resistance level for the January series. This was followed by the 10,900 strike price, which now holds 43.21 lakh contracts in open interest, and 11,100, which has accumulated 28.31 lakh contracts in open interest. Meaningful Call writing was seen at 10,800, which added 8.21 lakh contracts, followed by 10,900 strike that added 7.20 lakh contracts. Call unwinding was seen at 11,300 strike, which shed 3.84 lakh contracts, followed by 11,200 strike price, which shed 3.67 lakh contracts. Maximum Put open interest of 32.73 lakh contracts was seen at the 10,800 strike price. This will act as a crucial support level for the January series. This was followed by the 10,700 strike price, which now holds 30.07 lakh contracts in open interest, and the 10,500 strike price, which has now accumulated 26.90 lakh contracts in open interest. Put unwinding was seen at the strike price of 10,500, which shed 4.19 lakh contracts, followed by 10,800, which shed 3.34 lakh contracts and 10,600, which shed 2.44 lakh contracts. Foreign Institutional Investors (FIIs) bought shares worth Rs 689.28 crore whereas Domestic Institutional Investors (DIIs) sold Rs 147.35 crore worth of shares in the Indian equity market on January 25, as per provisional data available on the NSE. Dish TV India: ECL Finance sold 1,23,93,190 shares of the company at Rs 23.20 per share and IIFL Wealth Finance sold 1,20,00,000 shares at Rs 24.23 per share on the NSE. Suumaya Lifestyle: AG Shares & Securities sold 1,44,000 shares of the company at Rs 22.30 per share on the NSE. SJVN: Board meeting is scheduled for February 8 to consider the unaudited financial results of the company for the third quarter ending December 2018 and declaration of interim dividend for the FY 2018-19, if any. Hindalco Industries: Board meeting is scheduled for February 12 to consider the unaudited standalone financial results of the company, for the third quarter ended December 2018. Greaves Cotton: Board meeting is scheduled for February 4 to consider the unaudited financial results of the company for the third quarter and nine months ended December 2018. Adani Power: Board meeting is scheduled for February 6 to consider the unaudited financial results for the quarter and nine months ended December 2018. Finolex Industries: Board meeting is scheduled for February 9 to consider the unaudited financial results for the quarter and nine months ended December 2018. Godfrey Phillips India: Board meeting is scheduled for February 2 to consider the standalone unaudited financial results of the company for the third quarter ended December 2018. Jindal Steel & Power: Board meeting is scheduled for February 2 to consider the un-audited financial results for the 3rd quarter/nine months ended on December 2018. Mphasis: Company will be meeting investor(s)/analyst(s) in Hong Kong on January 29, and in Singapore on January 29-30, as part of the Mphasis Asia Roadshow. IDFC First Bank: Board meeting is scheduled for February 5 to consider the unaudited financial results for the quarter and nine months ended December 2018. Shalby: Company will hold Investor/Analyst Conference call on January 30 to discuss un-audited Financial Results for quarter and nine months ended December 2018. Engineers India: Board meeting is scheduled for February 8 to consider intimation of record date in respect of interim dividend 2018-19, if any. Capacite Infraprojects: Board meeting is scheduled for February 4 to consider the un-audited financial statements (standalone basis) for the Quarter ended December 2018. Usha Martin: Board meeting is scheduled for February 5 to consider the un-audited financial results for the quarter and nine months ended December 2018. Future Lifestyle Fashions: Board meeting is scheduled for February 2 to consider the unaudited financial results for the quarter and nine months ended December 2018. Himachal Futuristic Communications: Board meeting is scheduled for February 8 to consider the un-audited standalone financial results of the company for the third quarter and nine months ended December 2018. Reliance Naval and Engineering: Board meeting is scheduled for February 4 to consider the unaudited financial results (standalone) for the third quarter and nine months ended December 2018. L&T Q3: Consolidated profit jumps 37 percent to Rs 2,042 crore versus Rs 1,490 crore; revenue rises 24.2 percent to 35,709 crore versus Rs 28,748 crore YoY. The company retains FY19 guidance for order inflow at 10-12 percent growth. Lupin: USFDA completed the inspection of company’s Pithampur Unit-2 (Indore) facility with 6 observations. Jet Airways: Etihad hires turnaround expert Alvarez & Marsal as it weighs Jet Airways bailout, reported Reuters. Emami: Company acquired German personal care brand Creme 21 for an undisclosed amount. M&M Financial Q3: Profit slips 3.8 percent to Rs 318.6 crore versus Rs 331.4 crore; net interest income rises 20.7 percent to Rs 1,204 crore versus Rs 1,002.8 crore YoY. Gross NPA is lower at 7.7 percent against 12.3 percent and net NPA is also down at 5.8 percent against 8.2 percent QoQ. Ansal Housing: Company entered into a share purchase agreement to divest in stake held in Sonu Buildwell. Hindustan Aeronautics: Board approved enhancement of working cap limit to Rs 6,050 crore from Rs 2,500 crore. Federal Bank: The bank appointed Dilip Sadarangani as Part-Time Chairman. Tasty Dairy Specialities: Company said it has set 2 (two) milk booths at Prayagraj Kumbh Mela, 2019. Lakhs of visitors are visiting per day and the company is getting a good response at its stall and products and good orders are expected to be received during Kumbh Mela 2019, which will be till March 4, 2019. Mindtree: I-T Dept restricts the company from selling V G Siddhartha, Coffee Day Enterprises’ shares. Jubilant Life Sciences: Company issued commercial papers of Rs 100 crore. The company fully redeemed and made payment of interest for Non-Convertible Debentures – STRPP I issued on private placement basis on the due date. Entertainment Network (India): Company entered into a Brand and Content Licensing arrangement with a US-based radio broadcaster to use the company’s trademarks and content. Bharat Road Network: 95,20,000 equity shares of the company (constituting 11.34 percent shareholding) were acquired by SREI Infrastructure Finance pursuant to pledge invocation. Total shareholding of SREI Infrastructure stands at 2,61,50,000 equity shares constituting 31.15 percent of the total shareholding of BRNL at the time of invocation. Inox Leisure: Company has commenced the commercial operations of a Multiplex Cinema Theatre taken on lease in Patrapada, Bhubaneswar. McNally Bharat Engineering Company: Company received an order from ESR Warehousing Private Limited relating to work of filling, civil and infrastructure works in Howrah worth Rs 72.6 crore. Hindustan Media Ventures: ICRA reaffirmed the long-term rating of the company at AA+ and short-term rating at A1+ and revised its outlook on long-term rating to Negative from Stable. Khadim India: ICRA assigned long-term rating at A/Stable and short-term rating at A1 to company’s overall bank borrowings. 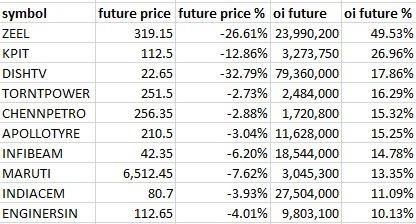 Securities in ban period for the next day’s trade under the F&O segment include companies in which the security has crossed 95 percent of the market-wide position limit.For January 25, Jain Irrigation Systems, Reliance Capital and Jet Airways are present in this list.